The forecast is good for a bustling economy this year and our team at Aqua Fun is already feeling the benefits. Many home owners have been reaching out about building an inground swimming pool in their backyard oasis. Our designer keeps hearing the same type of question from our new customers, “How can I make our new pool stand out?”. We’ve decided to offer a few pool trends we see coming in 2018, some are new trends and some are past trends that have carried over from recent previous years. When an interior designer transforms a house, they use pops of color to change the feeling, and tone of the space. Like you would use pops of color in home decor to set the mood, you would do the same for the interior of your pool. Darker colors are trending in 2018, it gives an illusion to a deeper, darker pool which exudes a relaxing spa vibe. Whether you choose a darker vibe or a light clean interior, you want to make your pool unique to you yet stand out from any other pool. Choose an accent tile that is funky, or something out of the ordinary that could be an expression of your style or a conversation piece. Now this is something that everyone needs to think about when designing a pool. Are you looking for something more for exercise and diving? Or are you interested in something for lounging and playing games? It’s something to think about. It’s difficult to play volleyball in the pool that has a different depth making it a perfect even playing field for many water games. 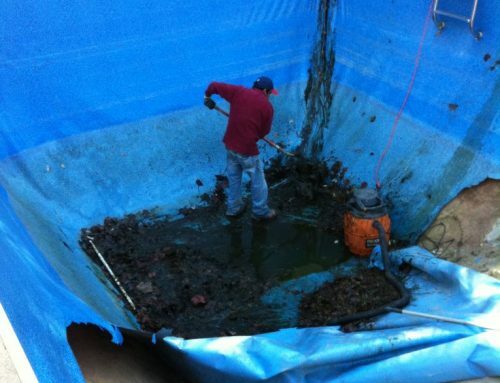 So keep that in mind when you are thinking about how you get the best use out of your pool! Peoples tastes and ideas change, and this year we anticipate the depth of a pool being more of a factor. To use saltwater or not to use salt water. That is the question. This is not the newest of trends with pools, but people are asking for saltwater pools more frequently. One factor to consider is how you will maintain your new saltwater pool, Aqua Fun is happy to help you maintain your saltwater pool or empower you to maintain your own saltwater pool. This trend looks like it’s not going anywhere as we move into a more organic less chemical state of mind. Last but not least, going back to the first trend which is pops of colors. As an interior designer would decorate the inside of your house, you should also be reminded of the difference it can make on the exterior. Pops of color and tile aren’t the only things that can make your space unique but lighting, furniture, shrubbery, outdoor kitchen, rug or pillows can completely change the ambiance and feel of your perfect customized space. Be sure to check out our Pinterest board with photos of trendy outdoor pool furniture, lighting, art and landscaping ideas. Want to see more gorgeous inground swimming pools built by Aqua Fun? Check out their Gallery of dream pools here. All of us here at Aqua Fun Inc would like to thank you for reading our blog! If you know anyone who would like to know more about Top 5 Pool Trends in 2018, then be sure to share this article or simply call Aqua Fun Inc. today – (770) 419-7119 or schedule time to talk here.